Update: some pictures from the event can be found here. NEW YORK (June 3, 2010) – Leica Camera Inc. is proud to announce the opening of the Leica Boutique at the Willoughby’s Imaging Center on June 8, 2010. The new boutique marks the first Leica designed retail space in New York City and a marquis partnership between two historic brands in the photography industry. Set within New York’s oldest photographic emporium, the Leica Boutique at Willoughby’s Imaging Center will provide a new source for information on all Leica-related topics and offer Leica’s full product portfolio, from point-and-shoot cameras to rangefinder and medium format systems and binoculars. Similar to all Leica products, this new retail setting will utilize premium design and materials to offer a memorable and interactive experience. To celebrate the grand opening of the Leica Boutique, Willoughby’s, along with photo enthusiast and actor Matthew Modine, renowned event photographer Patrick McMullan and Alex McCord of Real Housewives of New York, will host a VIP “cocktails and cameras” party. In addition to showcasing the new Leica retail setting, the event will exhibit the latest work of renowned fashion photographer and Leica Camera fan, Nevil Dwek. Throughout the world, Leica enjoys recognition and customer loyalty, because of its achievements in the photography industry and its uncompromising pursuit of high-quality standards. Leica products are appreciated by discerning clientele; the hand-crafted designs are fabricated with unmatched mechanical and optical precision and yet they have an extraordinary aura that can evoke feelings and emotions. 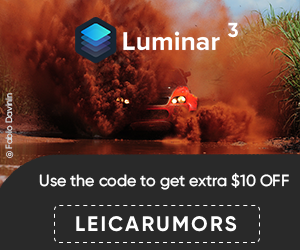 For more than 150 years, Leica has maintained a tradition of precision manufacturing and consistent innovation, which have steadily reinforced its preeminent worldwide reputation. 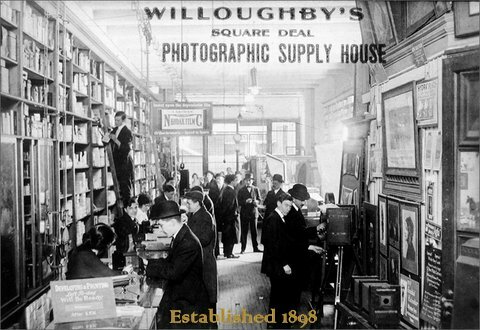 Willoughby's is proud to be NYC’s oldest photographic emporium serving consumers through three centuries. Over 110 years after famed lensman Charles Willoughby opened his camera shop in 1898, Willoughby's still sells a large selection of cameras and photo equipment for every budget and skill level–from simple point-and-shoot models to high-end single-lens reflex cameras. Willoughby’s also stocks a wide selection of camcorders for both the pro and consumer market and has a full selection of binoculars. Nevil, a native New Yorker, graduated from the Tisch School at NYU where he was twice awarded for excellence in Filmmaking. Today Nevil is an accomplished Fashion and Advertising Photographer, shooting with the Leica S2, as well as a director and producer of films.